Good luck to all this Tuesday! Last edited by Hanna Sniper; 04-07-2019 at 09:33 AM. 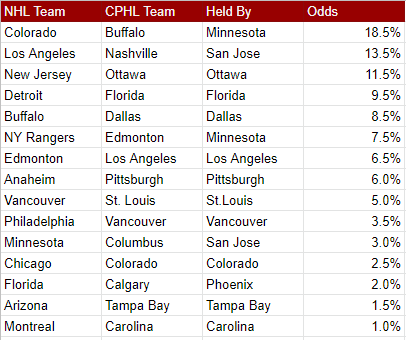 I feel like I've already won with #2 overall but most importantly with Columbus making the playoffs but are still currently 11th pick overall. Last edited by savardandjokinen; 04-09-2019 at 06:43 PM. Such bullsh#t I didn’t get a top 2 pick.